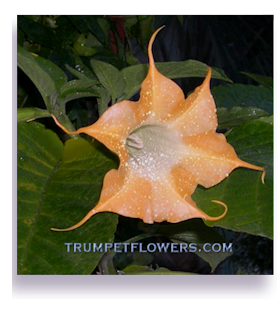 Brugmansia Jacayna is a 6 point flower. 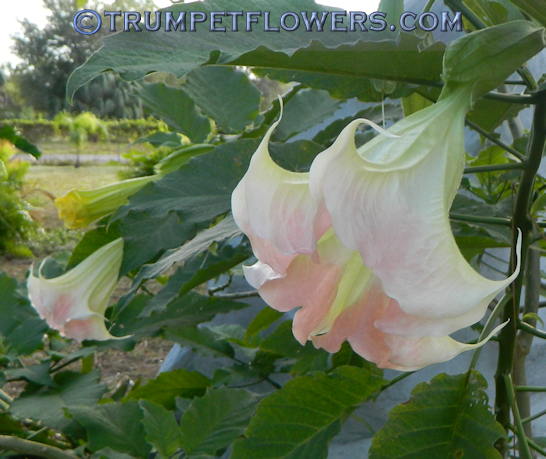 Angels trumpets are usually 5 pointers. 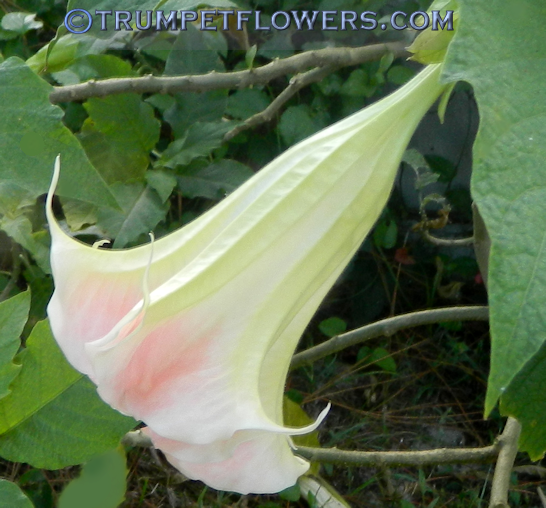 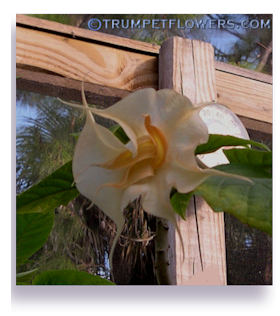 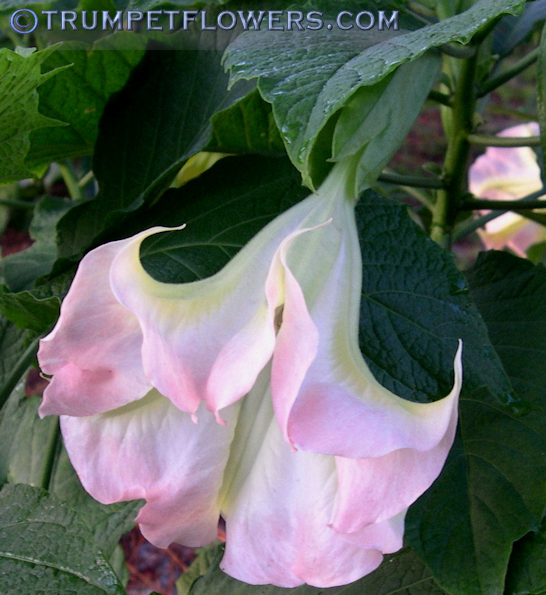 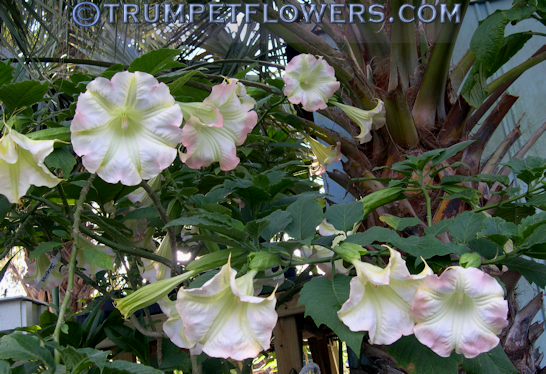 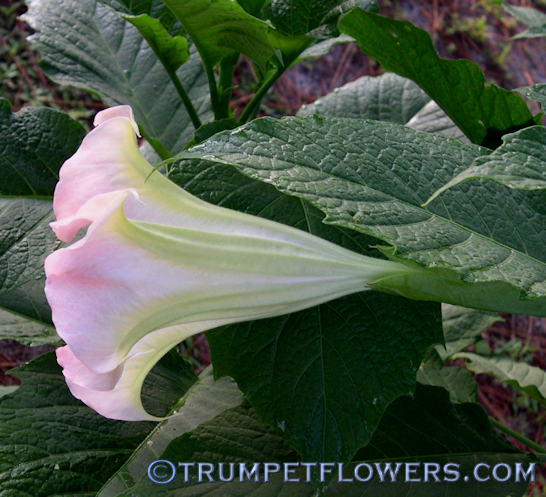 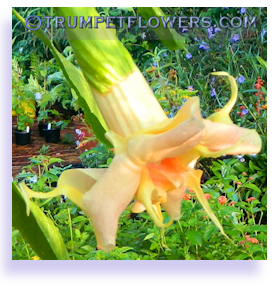 Angels trumpet Jacayna is parented by Frosty Pink X Lexy. 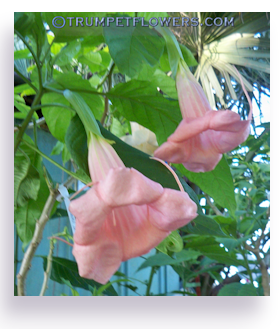 Published 2006. 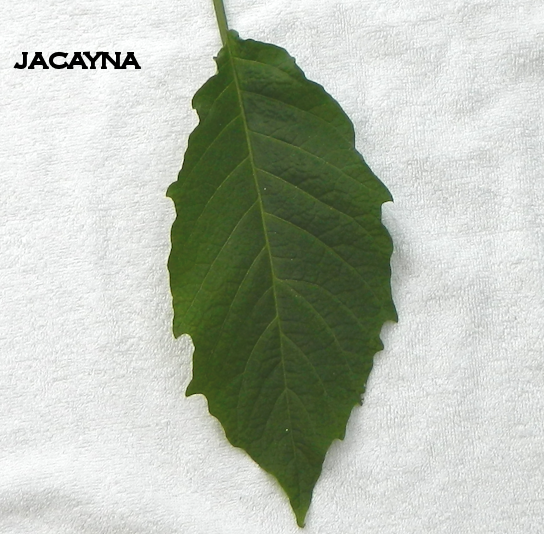 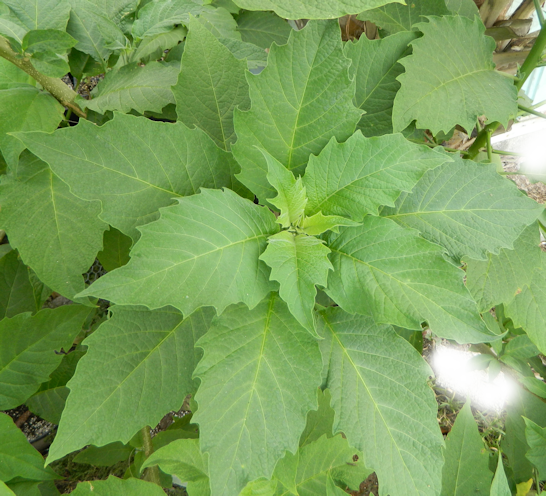 Jacayna has large, furry, deep green, toothed leaves. 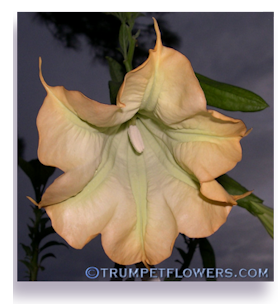 This is a typical whorl of leaves that Brugmansia Jacayna always seems to exhibit. 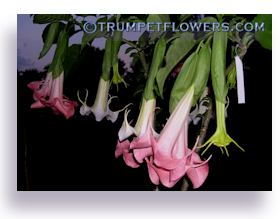 I notice this is Angel Trumpet Whiskers as well, who also has deeply toothed leaves, and with a slight leather feel to the touch. 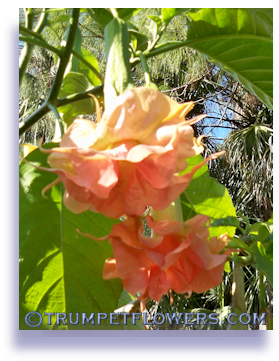 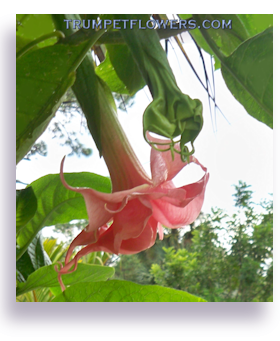 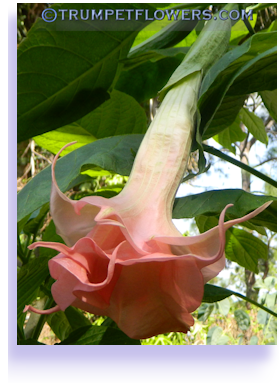 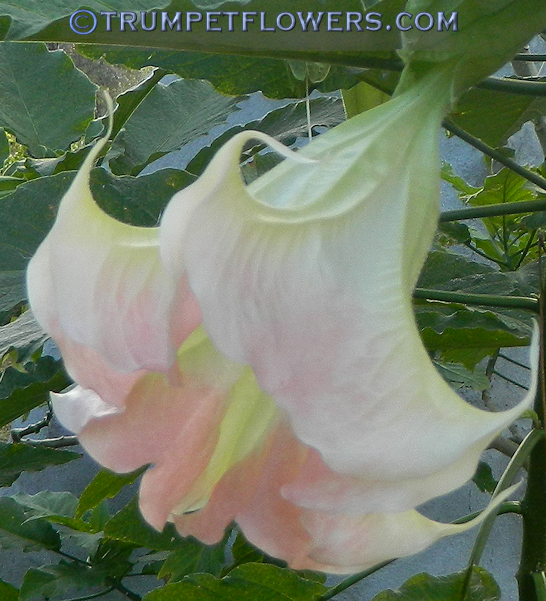 This entry was posted on February 28th, 2012 and is filed under Brugmansia Gallery.